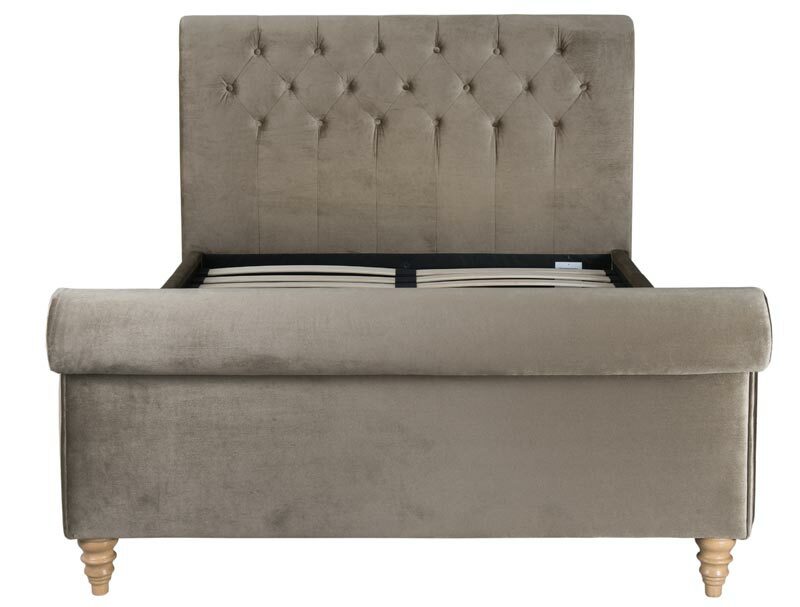 The Cadot Gallia Velvet Upholstered Bed Frame is the ultimate in luxurious comfort and style. 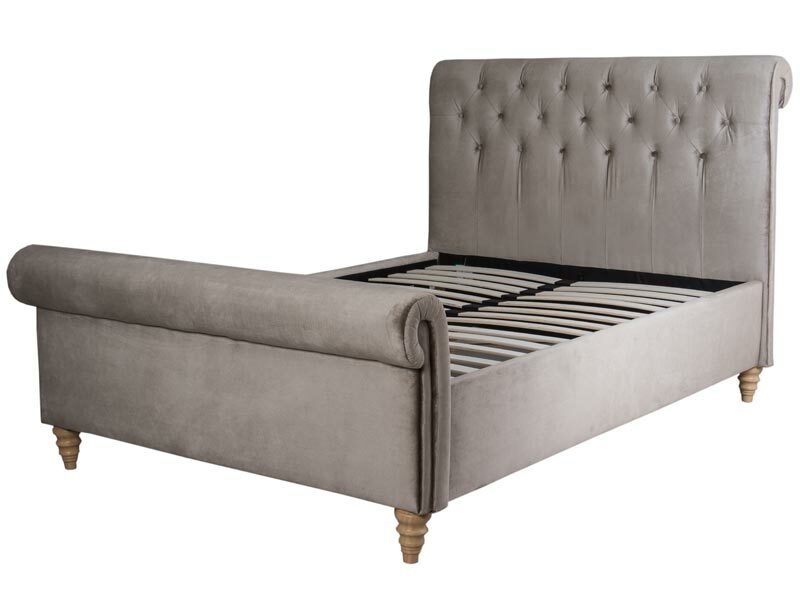 The frame has been made in a sumptuous soft truffle, velvet fabric to offer a tunning bed frame that brings a beautifully modern and elegant feel to any bedroom. 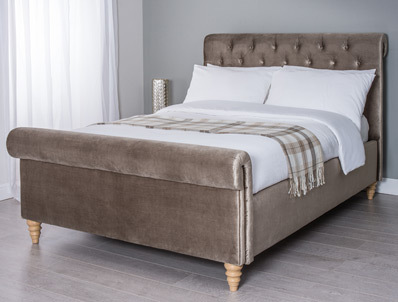 The bed frame sits on turned oak colour wooden feet and is supplied with a buttoned headboard and plain footboard . 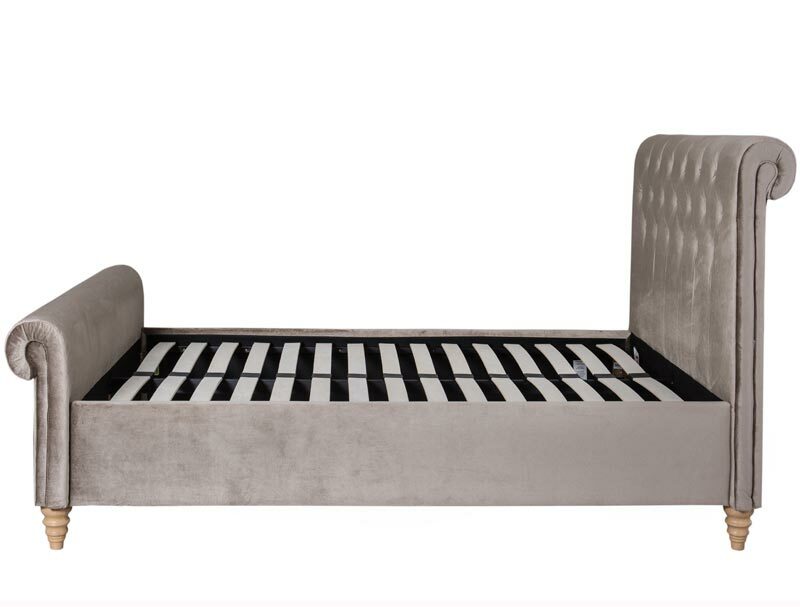 This impressive looking bed frame comes with wooden sprung slats with 6cm Gaps , the most allowed for good quality pocket spring mattresses , which provide excellent cushioned support for your choice of mattress.